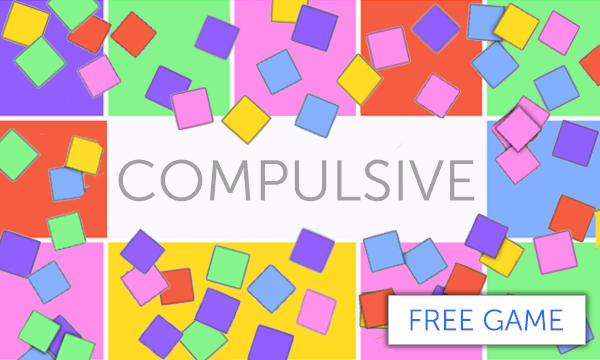 I just released COMPULSIVE for iOS and Android. It’s a puzzle game. The rules are pretty simple in that all you have to do is join 4 or more tiles of the same color to score points. The bigger groups you clear the more points you get. And you earn a bonus multiplier if you can create chain reactions–one group clears which causes another to clear. The game last 60 seconds which is plenty of time to score lots of points. 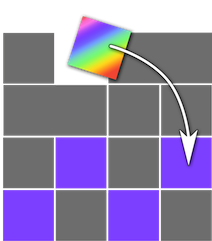 Drag tiles anywhere on the board. The first thing I noticed when people play Compulsive is they don’t realize tiles can move to any location on the board. This is most likely because they are use to playing Bejeweled or Candy Crush. 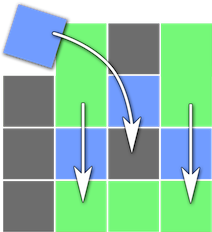 This will only hurt your chances of scoring big because Compulsive lets you move tiles clear across the screen to make a move. It only requires that there be a same color tile next to where you drop it. That’s it. I found after experimenting with a lot of different rule sets, that having more restrictions on tile movement just wasn’t as fun. I never got into Bejeweled for probably this very reason. Clear an entire color off the board. There is a special glowing tile that drops on the board every 15 seconds or so. It’s the coolest part of the game in that it cleans off all tiles of a specific color from the board. Just drag it onto the color you want to clear and then watch them explode. The glowing tile is very strategic. It can be used to quickly clear a color that’s in the way, score some points, and setup an awesome combo. The glowing tile also clears itself if it hits the bottom row. It’ll reward you with 1,000 points when that happens which also counts towards a combo multiplier. Figuring out the best way to use this tile will take a little practice but the rewards can be great. Where did I come up with the idea? I think I had a lot of influences from a lot of different games. 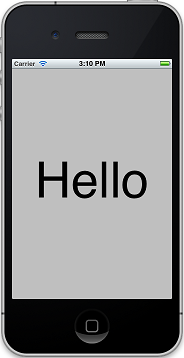 The board is a vertical 6×8 rectangle with tiles that fall down the screen. This might remind you of Tetris. It has a very generous point system which might feel a little bit like Bejeweled. The design is very modern and clean which is similar to Letterpress. The glowing tile is similar in behavior to that of the diamond in Super Puzzle Fighter II. The Mike O’Meara show thinks the music comes from the movie American Psycho. I really don’t think that’s the case… although it was one of my favorite movies of all time. This entry was posted in Site on June 20, 2013 by todd. 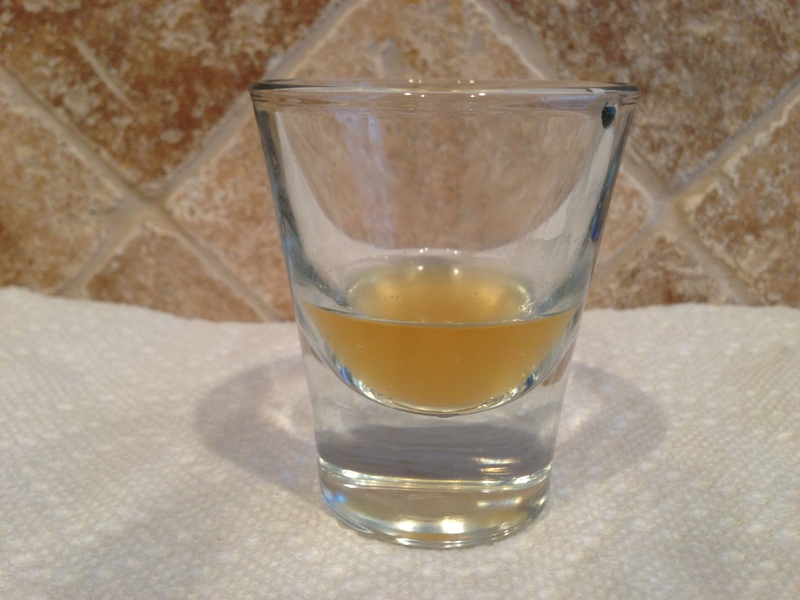 I have found out what’s in my tap water–Brown nasty chemical-smelling crap. And it’s not just in my water but yours too. 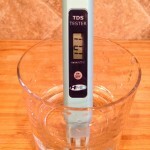 I used a water distiller on 2 gallons of my tap water and the leftover is shown in this photo. Go ahead and click on it for the full image. I dare you. It’s darker than a lager beer and smells of deadly toxins. 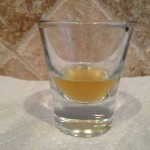 Would you drink this? No, I don’t think so. 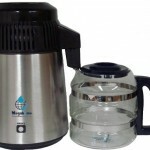 But you probably are if you are not using a distiller or high quality filter. If it says that on toothpaste then why is it a good idea to put fluoride in our drinking water? I don’t understand it and I don’t want to get in a debate with any dental hygienists or conspiracy theorists. I’m just going to remove it from my water. In summary, if you drink tap water then you might as well be drinking out of the toilet. Once you see and smell what is in your water, you will stop drinking it, and switch to bottled water or distill it like me. 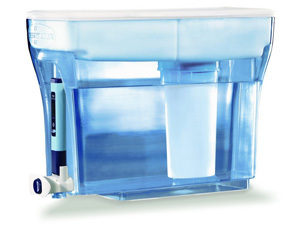 I’m still using my ZeroWater filter too. But now I pour the distilled water into that. It really makes for some great tasting water. If you decide to buy any of these items please go through my online store so I get some Amazon credit. That way I can get more filters. Or maybe just cash. That’s nice too. 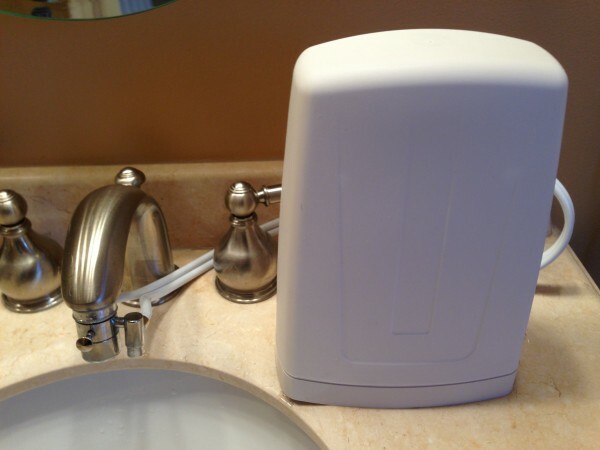 This entry was posted in Health, Site, Water on February 15, 2013 by todd. 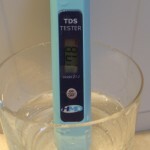 I never thought about how good water filters were until I ordered a ZeroWater filter and it included a water testing tool. 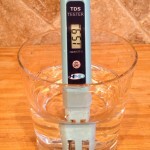 They claim their filter results in water with 0 PPM (parts per million). 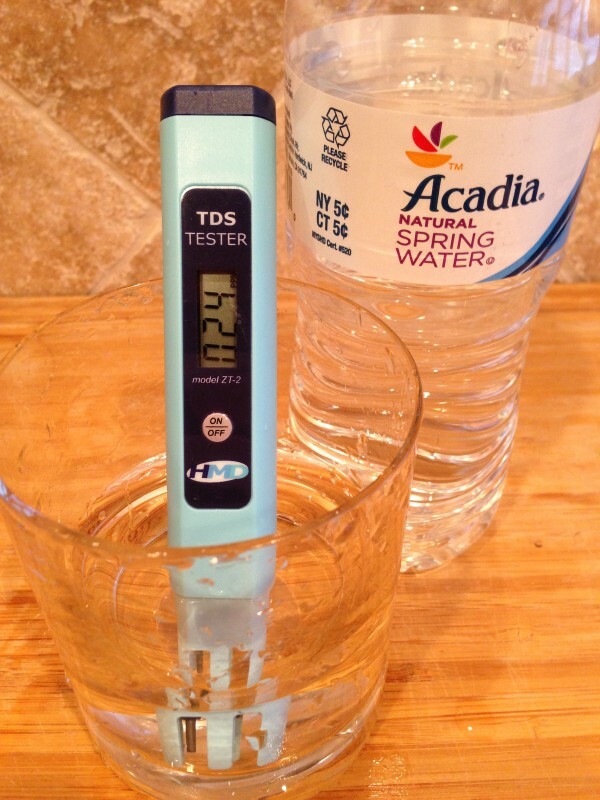 The higher the number means more particles and contaminants that not only make water taste bad but can also be bad for your health. It’s time for an experiment. 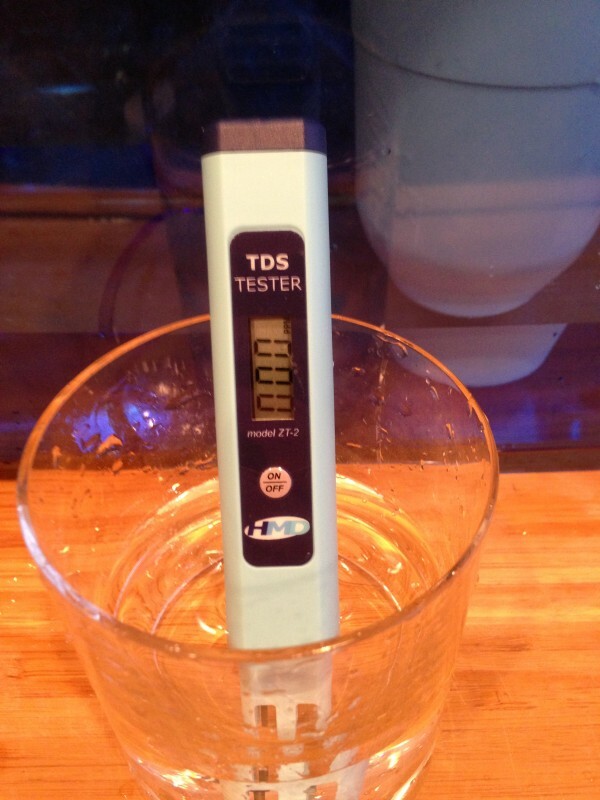 My tap water clocked in at 159 PPM. Is that a good number? 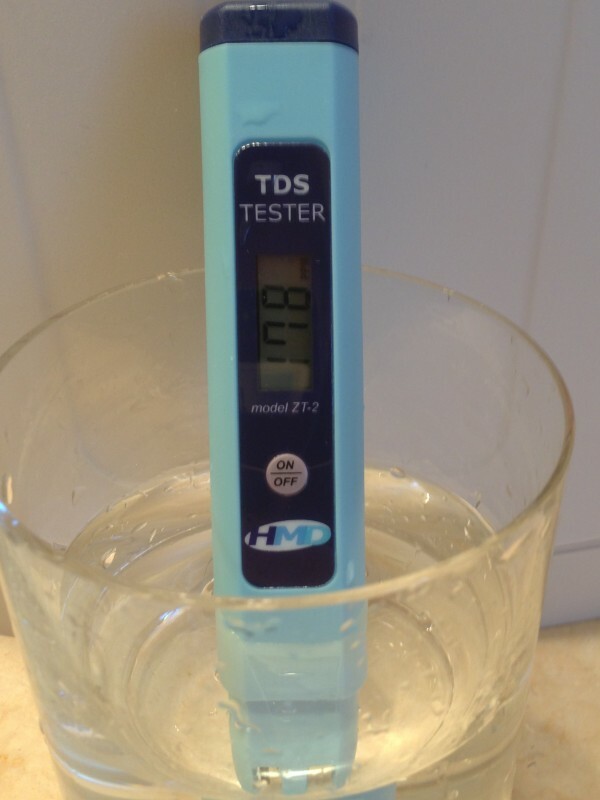 Apparently the World Health Organization says that water with a TDS (total dissolved solids) of 1,000 PPM is “acceptable” and under 600 PPM is “good.” Yeah, maybe if you’re living in a tent in Africa it’s good but for us fussy Americans we want crystal clear drinking water without any off-flavors. The higher the PPM number means the worse it will taste. 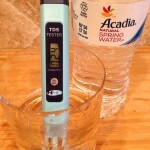 The bottle of Acadia Natural Spring Water was much better at 24 PPM. 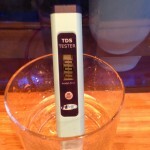 And my new ZeroWater filter, as promised, clocked in at 0 PPM. Guess it’s not marketing fluff after all. 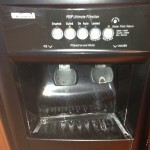 My refrigerator PUR water filter is worse than my tap water at 171 PPM! How can that be? Shouldn’t it be removing something? 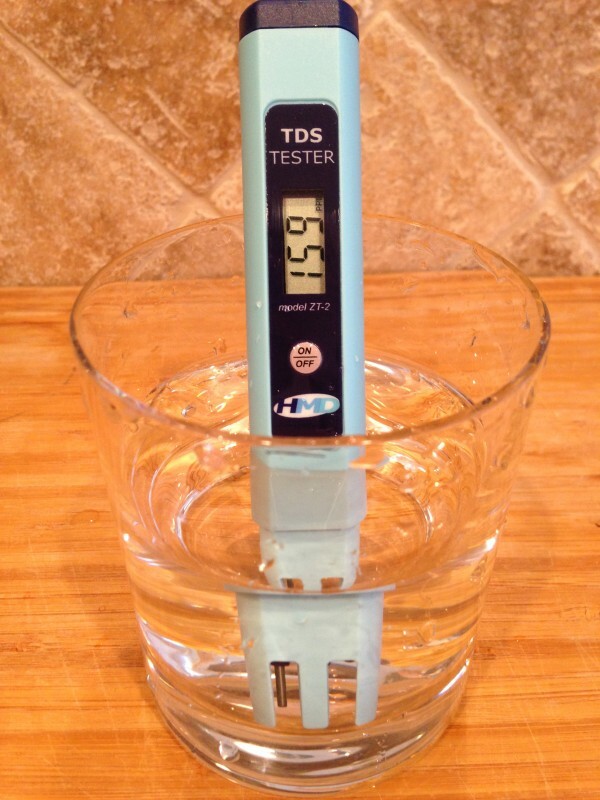 The worse rating goes to the expensive Dr. Mercola Pure & Clear drinking water filter which clocked in 178 PPM. It’s probably only fair to test the filters when they are brand new but I would still think that even if they are a few months old it shouldn’t be adding anything to the water. 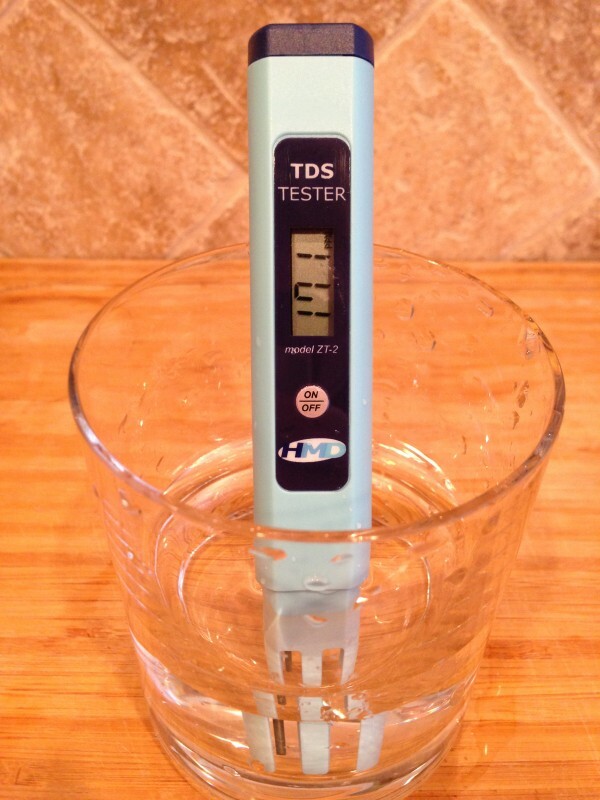 I really like companies that back up their product claims, and the fact that the ZeroWater filter included a TDS water testing tool speaks volumes. 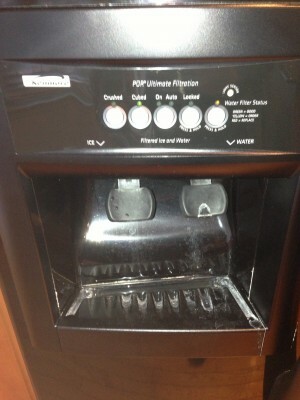 The instructions say to replace the ZeroWater filter once it gets to 6 PPM. Maybe they should tell that to the entire water bottle industry. 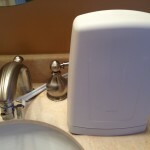 This entry was posted in Health, Site, Water on January 31, 2013 by todd. My favorite programming language is C++. 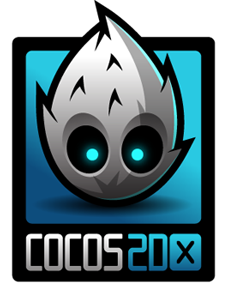 My favorite game library is Cocos2d. It’s too bad that Cocos2d is written in Objective-C and only supports iOS and Mac. And by that I mean it’s too bad I didn’t discover the C++ port of Cocos2d called Cocos2d-X earlier. It’s absolutely amazing. Why? First, it’s C++. My favorite. The standard template library with it’s generic containers such as std::map is the best. Second, it uses all the same class names and constructs as my favorite Cocos2d gaming library. This made it extremely easy to switch over to. 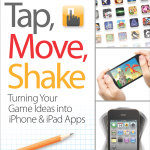 Third, it’s cross-platform and runs almost everywhere–iOS, Android, Mac, and Windows. It even has a HTML5 port and the Windows port uses DirectX instead of OpenGL. With this kind of distribution and support why would you code up your own solution or limit yourself to a single platform? I’m all in and you should be too. That is of course if you write games. Check out my first Cocos2d-x game called Tic Tac Toe Glow which I’m releasing to iOS and Android at the same time. Windows 8 and Mac will be coming too and why not? This library makes it easy to do. This entry was posted in Site on August 3, 2012 by todd. Although ultimately it is up to the developer to protect your privacy and do no evil, I argued that the platforms are in the best position to protect your information. Apple iOS guards your location and prompts you when an application tries to access it. This works well and you have the ability to deny the app access. This kind of protection could be provided to other areas such as your address book and calendar events which are currently wide open for apps to abuse. Imagine downloading a flashlight app, only to have your entire address book uploaded to Spammers-R-Us. The Android platform gives you a list of permissions an application requires prior to installation. I like this but as I discuss in the video it has caused issues in my own apps. I’m hoping a mix of both real time and installation time permissions find it’s way into both platforms going forward. I feel when a technical solution exists to a problem, and I’m claiming it does, then that is the best approach–Not government regulation and certainly not 100 page privacy policies that nobody reads. We discussed issues with apps like Path which uploaded your address book without first getting your permission (It does now). The Girls Around Me App was also a major focus and although we all think it’s creepy, I’m the only one who made the point of what’s wrong with displaying publicly available information? In this case, girls were not aware their location was being put out into the public by Foursquare. That’s a problem with the social network and not with an application that just displays what is already online. Education is key here. Privacy has become a huge issue with mobile apps and will continue to be. 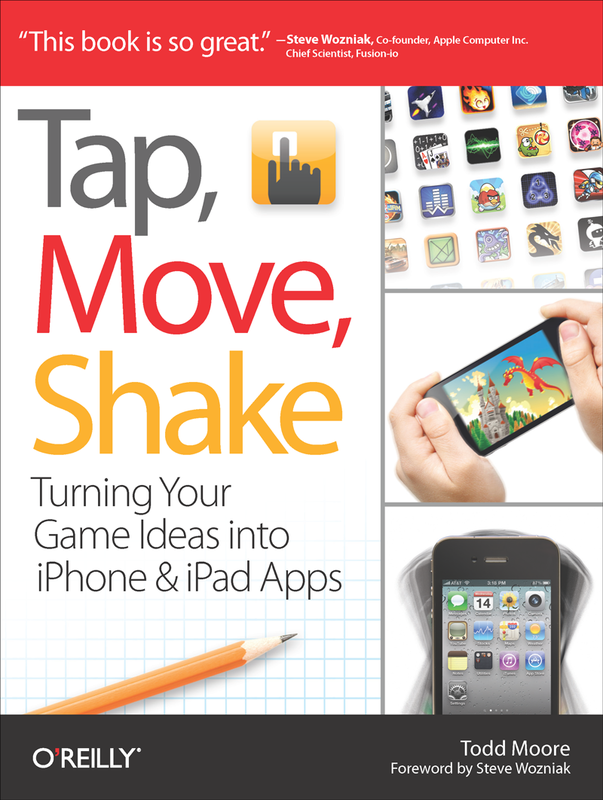 I’m looking forward to future versions of iOS and Android which will hopefully provide even better controls. If we just leave it up to application developers to implement privacy controls then we won’t have a consistent standardized method to safeguard our privacy. I want this across all of my applications. What do you think? This entry was posted in Site on May 11, 2012 by todd. If you missed my book signing presentation at MoDevDC then no worries because I’ll be giving it again as an O’Reilly Webcast. Be sure to sign-up today or tomorrow if your interested. I’ll update this post again once they post the video for those that miss the live presentation. Thanks! This entry was posted in Site on April 10, 2012 by todd.